Our efforts work wonders on making your sidewalks appear more picturesque. Sidewalks need the most sustained and well-maintained pressure washing service. Every guest is sure to walk through the sidewalks, before entering your property, which means your impression creation process starts from here itself. Concrete sidewalks and/or stone sidewalks are the initial path that leads your guests to the final commercial or residential building. This means your first impression begins right from here. An impression has a higher significance on your business. Thus, keeping your sidewalks clean and notable is a real requirement for your property and its impression. However, with the due course of time, the accumulation of the dirt, grime, molds, oil, mildew, bird droppings, etc. tend to deteriorate its beauty and here comes the need for efficient pressure washing. 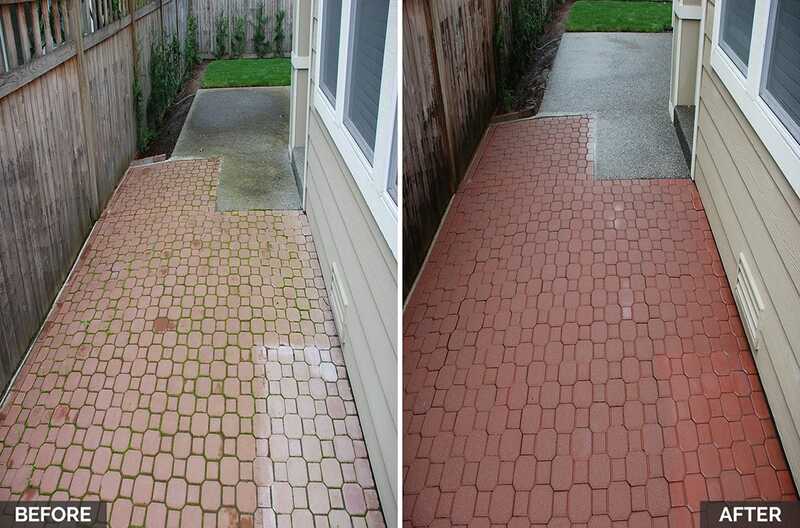 At JMA Power Washing, we understand the need of a striking and sparkling sidewalk that has the ability to add higher beauty to your property. Thus, working towards giving it an appreciated look, we use some of the finest pressure washing tools to safely and effectively clean and wash your sidewalks, without causing any damage to its surfaces. Both concrete and brick sidewalks aren’t immune to the exposure of molds and mildew, especially in the Seattle area, thus it is very important to treat them in time. With us, you can be sure of all your needs getting fulfilled in just one go. At JMA, we are experts at delivering the most appealing and sparkling sidewalks using the most appropriate cleaning tools and methods. 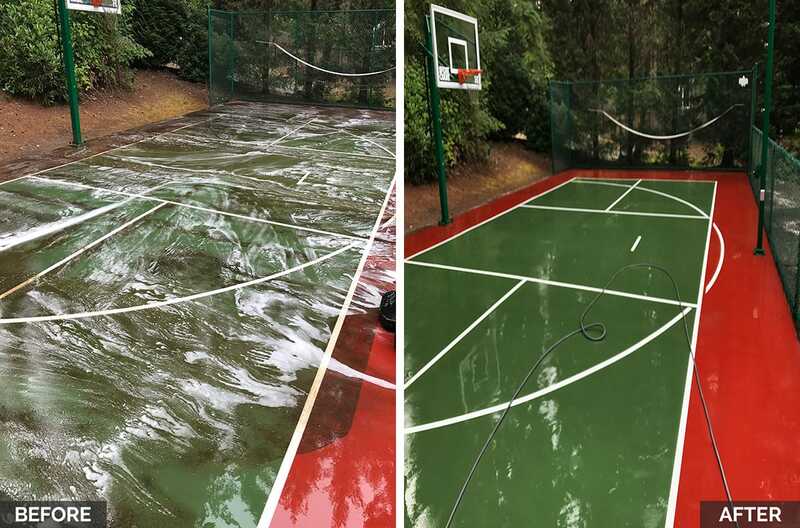 We work to create the best and most impressive sidewalk pressure washing services that will simply ornament your property. 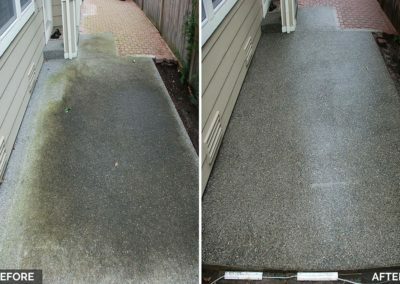 Even though pressure washing sidewalks are a tough job to take care due to its exposed placement, our tools and techniques are at par with the challenges coming up. 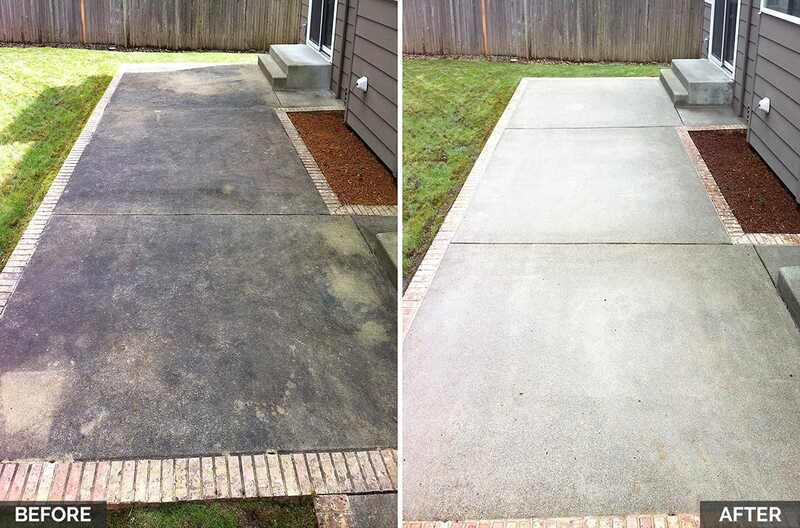 Right from cleaning the moss, dirt, grime formation and the hard stains of external exposure, we also work towards prep filling the cracks, transforming the sidewalk into a brand new entity. We have a professional team of experts, who have the right technical intent of using their skills for impressive results. We work with full dedication towards earning 100% satisfaction from our clients. Our budget-friendly and time-based work delivery is our speciality. 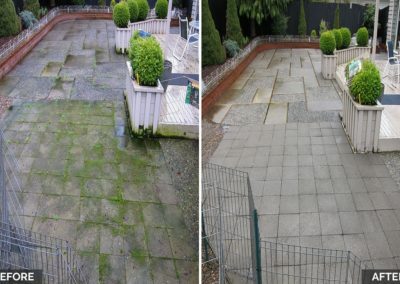 The use of most advanced techniques and hot water pressure washing equipment gives us the stand of the most reliable and efficient pressure cleaning service provider in the northwest. Choosing our services are the most professional and hassle-free way of keeping your sidewalks highly presentable and dirt-free. 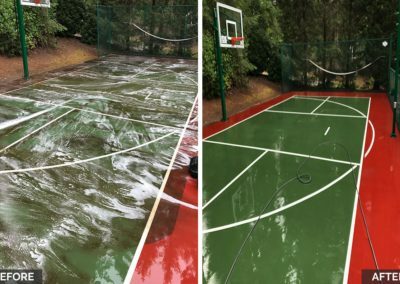 Our versatility in terms of the varied set of equipment and process has transformed us into a veteran in this pressure cleaning field. Our commitment towards 100% customer satisfaction ignites and fuels our hard work and dedication towards offering the best service delivery to our esteemed clients. 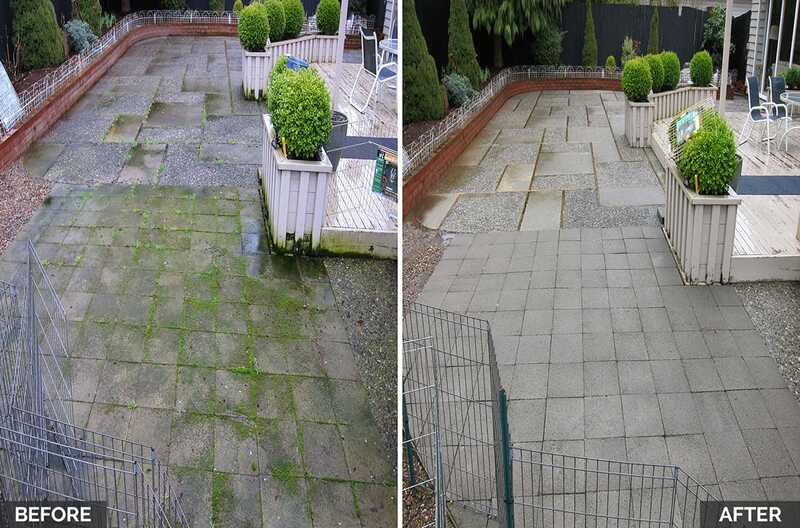 We promise and also work rigorously towards delivering the best pressure cleaning services in the area, which creates an outstanding appearance in the eyes of people visiting your property. Being professional in the stream, we work towards delivering the finest service within the defined turnaround time. Our 100% professional, trained and expert team of professionals have the complete hands-on experience in this field and they are ready to take up any challenge and stand accountable for their defined jobs. We use a set of equipment, products and processes that are 100% environment- friendly and safe. 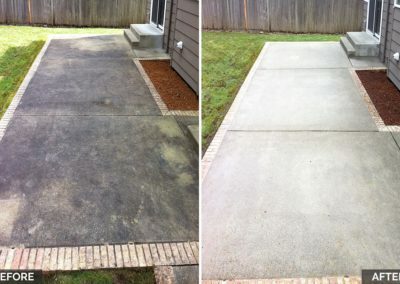 The process of pressure cleaning the sidewalks goes in a simple step by step pattern. We start with clearing the area making it free from the extra items spread around the place. Then we start surface cleaning using one or more of our multiple size of surface cleaner tools to give the surface an even and consistent cleaning all throughout. After the surface cleaning is done we use a wand to rinse the area using the drain filter wherever necessary. If you wish to add the most pleasing appearance of your sidewalk(s) to your property. Get in touch with us for a rightly scheduled estimate, consultation and further service at the best budget and price, with us!